The Seal Check med testing system is for the routine Testing of the sealing seam as well as to carry out an Operational Qualification (OQ) and Performance Qualification (PQ) during the validation process. 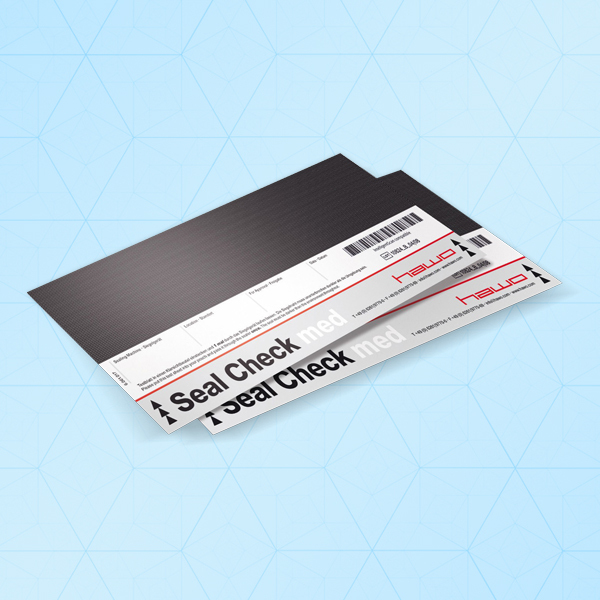 The Seal Check med (paper/film pouches and reels) makes deviations visible in the indicator field of the Seal Check. Hawo sealing devices with hawo Intelligent Scan automatically activate the test-mode by scanning the on printed barcodes.